Gartner has officially released the 2016 version of their Magic Quadrant for Business Intelligence and Analytics Platforms, and boy has the market changed. According to Gartner, the enterprise analytics industry has surpassed the tipping point, and has nearly finished its evolution from a market based heavily on reporting to one that is more business-centric and user friendly, offering self-service analytics and allowing more users to get their hands on tools that drive insights. 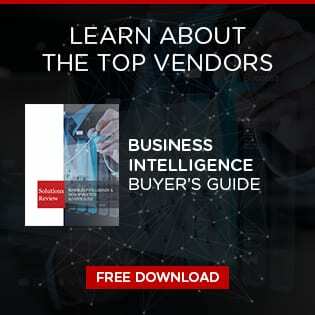 The majority of solution buying in BI and analytics now comes in the form of modern platforms which focus on user engagement, and this fact has essentially reorganization the vendor landscape. As a result of this major shift in focus, Gartner has identified different perspectives with which to assess vendor performance. Centralized provisioning and tightly governed platforms are becoming a thing of the past, and are being counterbalanced and replaced by tools that promote analytical agility and business user autonomy. 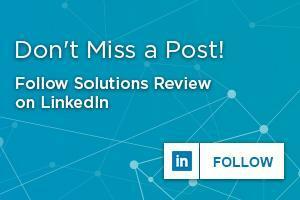 Thus, solution providers have had to shift gears. In response, Gartner has pivoted, focusing the 2016 Magic Quadrant on platforms with modern capabilities, something that the technology research giant has been threatening for several years. Tableau, Microsoft and Qlik are the three lone-remaining leaders in this year’s Magic Quadrant. The three providers are grouped rather tightly, with Tableau leading the pack in ability to execute for a second-straight year on the heels of their newest product update. With the Challengers bracket now an empty black hole, the heavily populated Visionaries quadrant deserves extra attention. Alteryx is now on the verge of becoming a market leader, improving in both Magic Quadrant metrics just a short time after receiving $85M in new funding. Another noteworthy development is the downward movement of tech giants IBM, SAP and SAS, who now all find themselves amongst the rest of the pack. Logi Analytics’ positioning took a considerable dive, now calling the middle of the Visionaries bracket home after a year as a Challenger. Logi’s regression comes as a result of eroding scores in the customer reference survey. Pentaho saw a slight dip in their ability to execute, though the company was able to cross the border from the Niche Players bracket with a bump in completeness of vision. ClearStory Data, a cloud and Spark-based tool offering self-service data preparation and leveraging machine learning, and BeyondCore, a vendor that touts a data discovery tool and high scores in market understanding, round out the Visionaries field, making their first appearances in the Gartner Magic Quadrant. The Niche Players bracket includes four newcomers, Domo, Salesforce, Sisense and Platfora. It may come as a surprise to some that Birst is now a Niche Player after being well within striking distance of the Leaders column last year, but their positional downgrade comes at a time where Gartner is concerned about the complexity of their offerings and pedestrian marketing strategy. GoodData showed minor pullback in both Magic Quadrant metrics, though remains strong in the bracket behind only Birst and newcomer Domo. Board International showed minor horizontal improvement, finding itself clustered with Information Builders and Sisense in the middle of the bracket, just ahead of Yellowfin, who offers an easy-to-use platform, though some users complain of poor product quality and support functionality. Information Builders also saw a dip in standing and was a market leader just one year ago. On the heels of $30 million in new funding, Pyramid Analytics looks like a provider on the rise, scoring well on capabilities that support a governed self-service analytics environment and ease of use for end-users.